Hey folks, Valkor here. As the 90's kicked into gear, I found myself leaning away from American television, infusing myself with an all anime diet as I just found a shop that sold the stuff mad cheap. Why should I bother with "cartoons" when anime gave me everything I wanted and more? 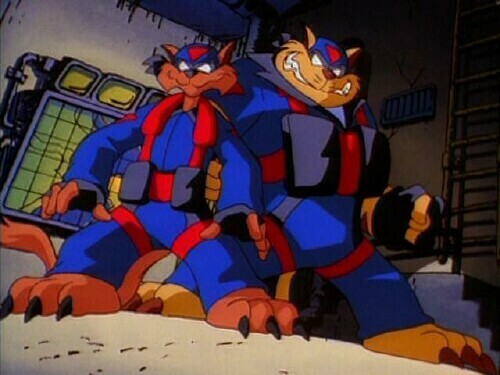 Fast-forward to today, the folks at Warner Home has shown me what I missed back then and by current standards "Swat Kats: The Radical Squadron" still holds up as one tough cookie of a series. 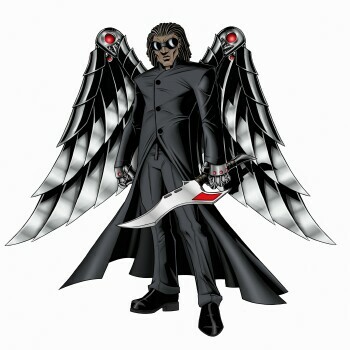 The Wrath of Dark Kat – This is where we find the origin story of the Radical Squadron and how they came to be. And history repeats itself as the Kats once again face off against Dark Kat. Will Feral get in the way again? The Deadly Pyramid – The Pastmaster returns as he steals a sacred golden headdress that gives him the power to control giant mummies. Plus he finds that Calico looks like the bride he's always wanted, but she spurned him in the past. But he won't let that happen again. 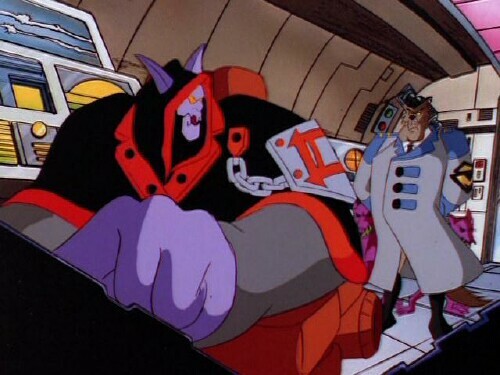 The Kats have a little assist in the form of Cybertron (lulz), a robotic catbot that was to aid them, but he appeared more trouble than he's worth, that is until he saves the day. Enter the Madkat – Having been locked away in the loony asylum, Lenny Ringtail makes his escape and finds sanctuary in an old shop. There he comes across a jack-in-the-box that contains the spirit of a vengeful Jester. 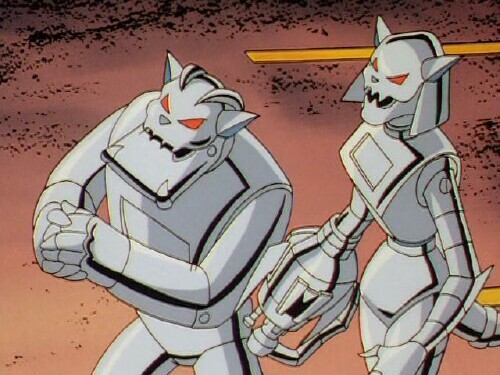 The two form an alliance, seeking revenge against those that wronged them. Caverns of Horror – A bunch of miners refuse to work in an agracite mine after five of their buddies went missing. The Enforcers assess the situation, with Ann Gora sneaking on board for the scoop. 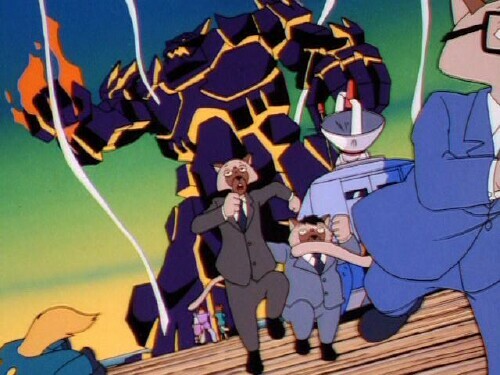 However Ann is separated from the group and is taken away by giant claws. 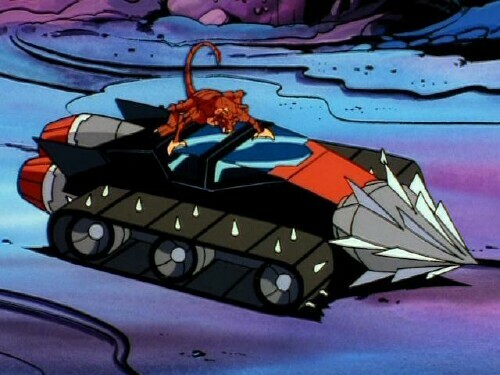 However, the Swat Kats are on the job with their new vehicle – the Turbo Mole, and what they find underneath will require everything in their repertoire to defeat. 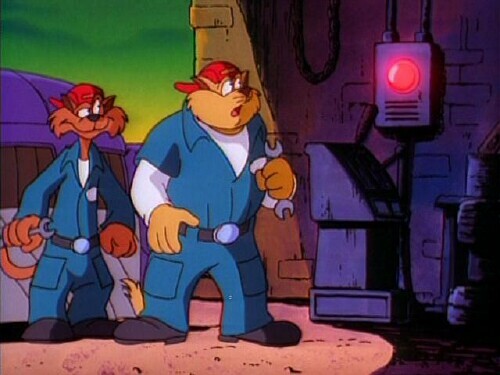 Included with the set is an expose piece from Kats Eye News, which gives us insight on who the Swat Kats are, the types of weapons they use, and even test your knowledge of the series. But I gots lots to say so let's dig in. Man where do I start - the animation, the plots, the characters, or all of the above? 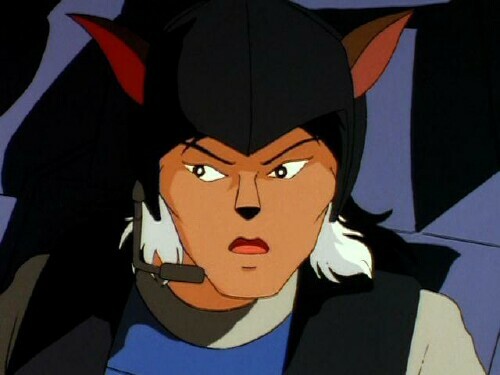 Swat Kats is FIRE with a capital "F". I had no idea just how good this is. First off the animation is just so good. We're talkin high quality, with attention to detail, and a level of shadowing that you would only find in Japanese anime. 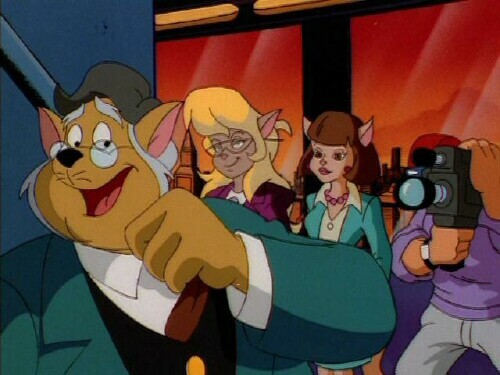 I've never seen an American cartoon, especially from the 90's that looked this good. The stories are edgy, but pulled back just enough to keep it out of Batman-esque territory. And then season 2 kicks in and it actually gets BETTER!! Again, this level of detail in an American cartoon is just unheard of. Why did this series only last two seasons? 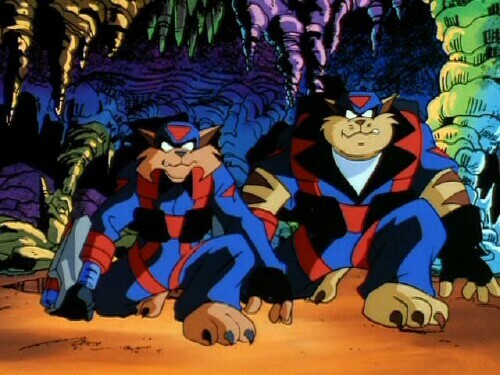 The Swat Kats are vigilantes and they do some damage, but they try their best not to hurt anyone or anything. And here's where the show separates itself from most if not all American cartoons – people get hurt or even die. Yes, you read that correctly, die! I didn't believe it when I saw it, but a few times I had to rewind just to confirm what I saw. Example: a giant bacteria monster devours a train full of people. You see the train start to get eaten and then when Razor enters the picture, the train is gone. I seriously doubt it got away. Planes and helicopters fall from the sky and crash to the ground, only a few episodes show people parachute out. Other times… well I don't think they made it. It's great to see a show address such a thing, though not directly and rarely is the problem addressed. Case in point, when the Kats go to look for Ann Gora and the missing miners; they find Ann, but only the bones of the miners. (Actually they do address the deaths in that episode, but only in mention nothing more. The sum up the rest of the DVD, voice acting is amazing well done, the jokes are kept to a minimum upping the seriousness of the series, and the music… is awesome! Why were there only two seasons?? 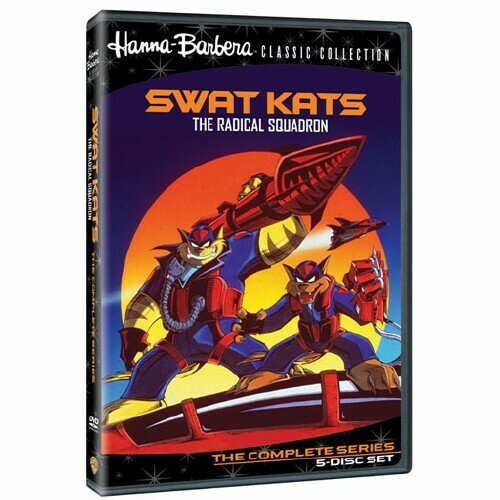 Swat Kats The Radical Squadron is available now and you'd be doing yourself a huge favor by picking it up. It's exciting, it's edgy, and it's a whole lotta fun. 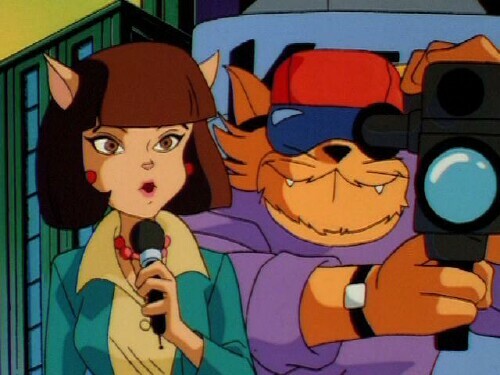 Out of TOV 5 stars, I give Swat Kats 5 disc set the perfect 5! Valkor tested, and Approved? BINGO! The Bad: Only two seasons? Really? ?